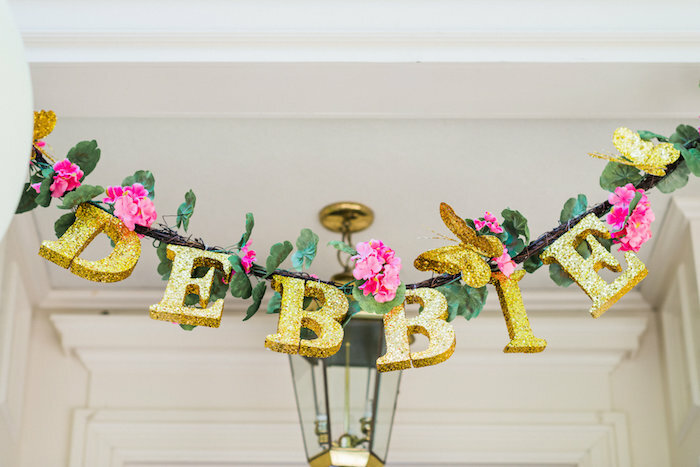 Listen closely can you hear it?! 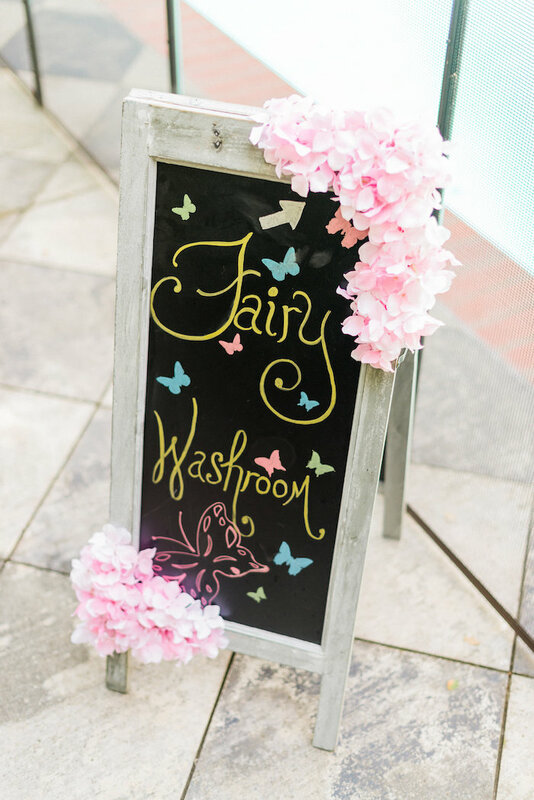 I hear the flit of teeny, tiny fairy wings! 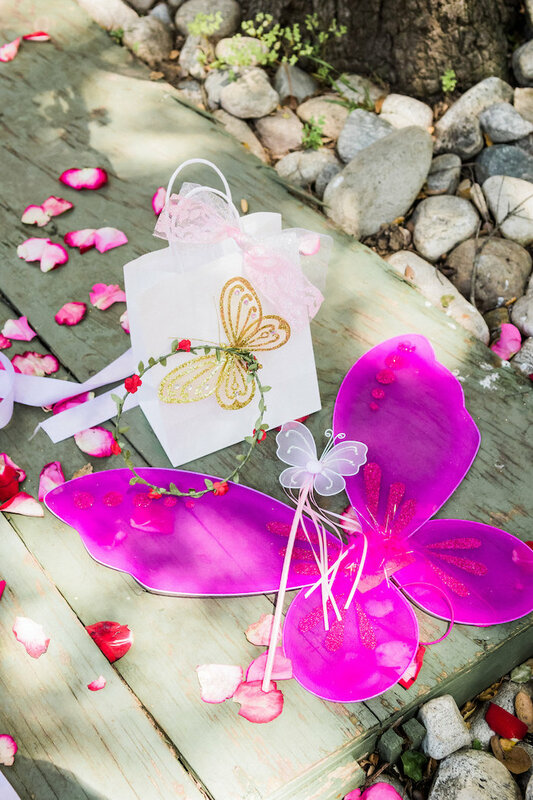 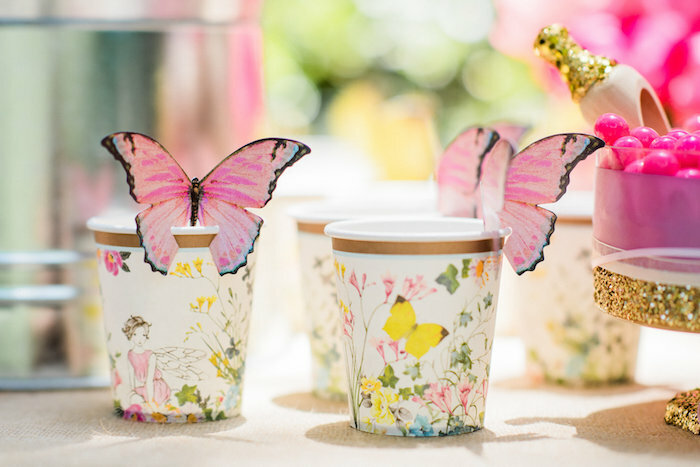 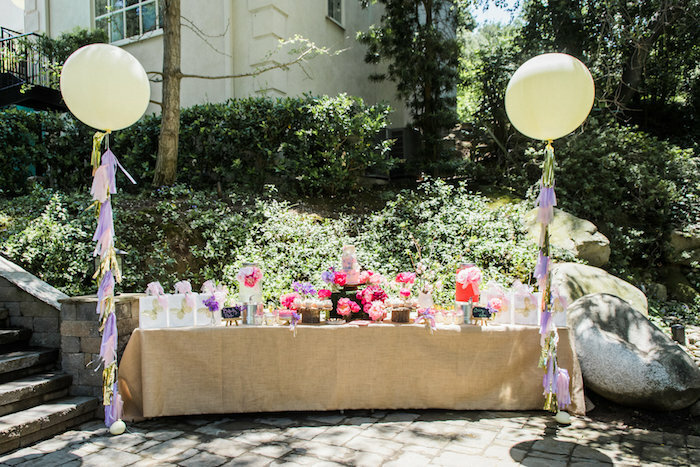 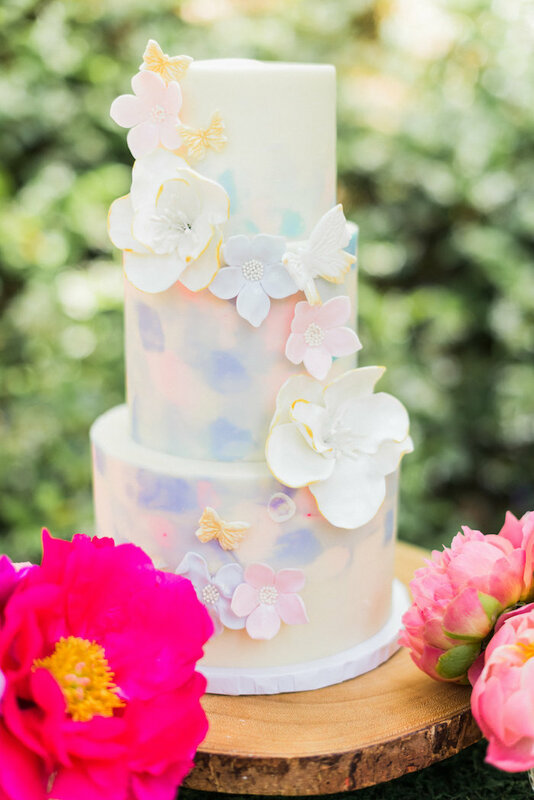 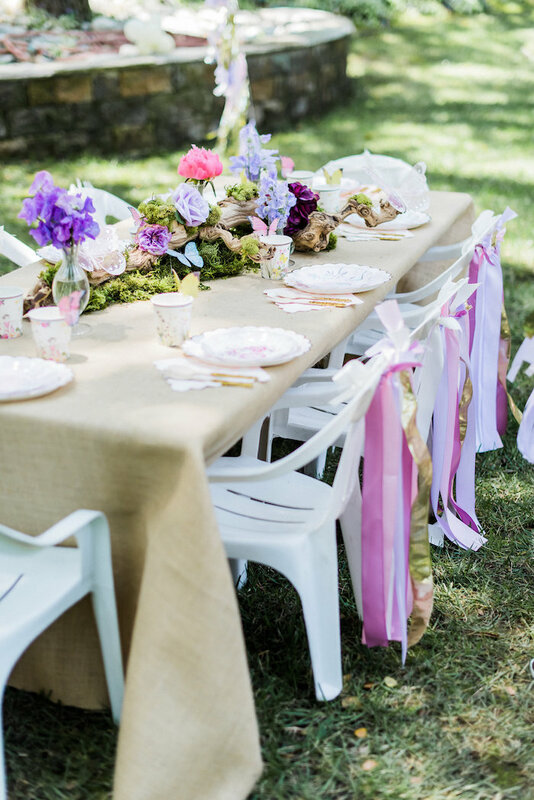 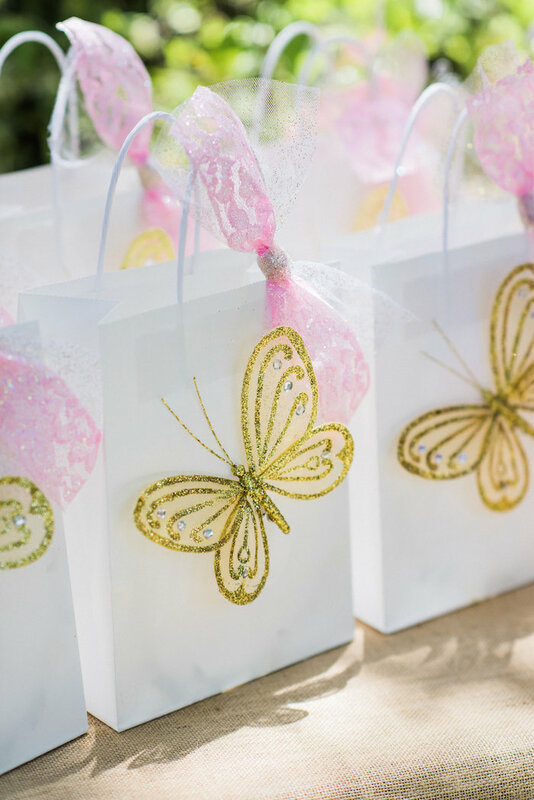 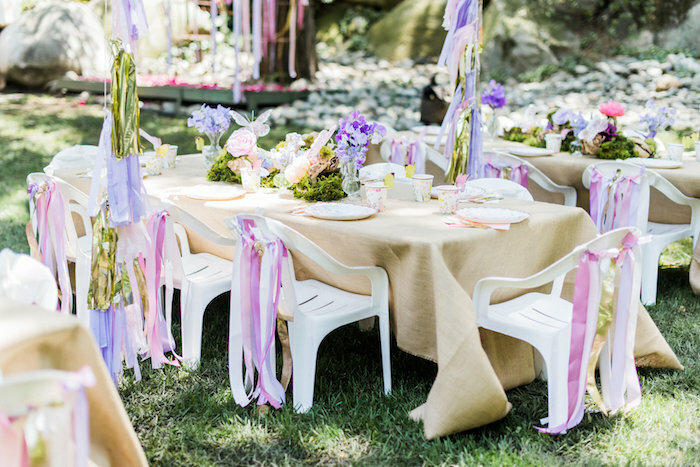 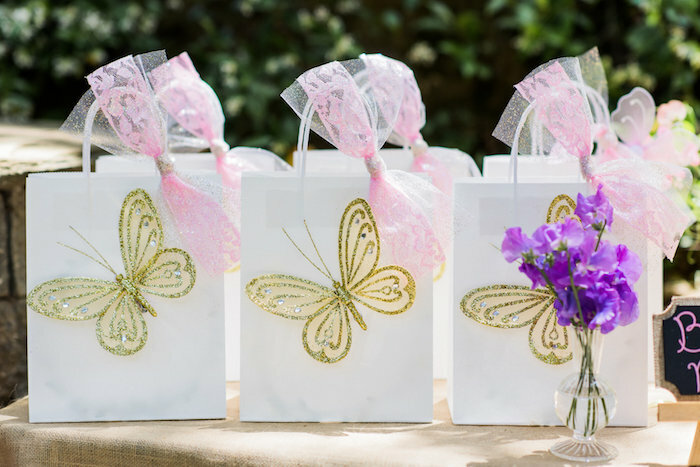 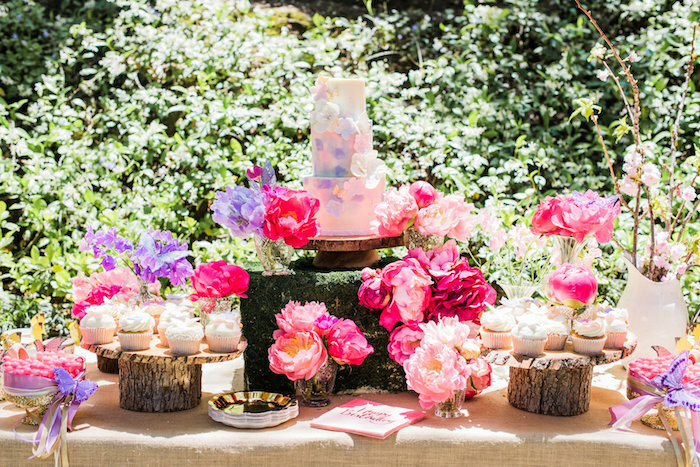 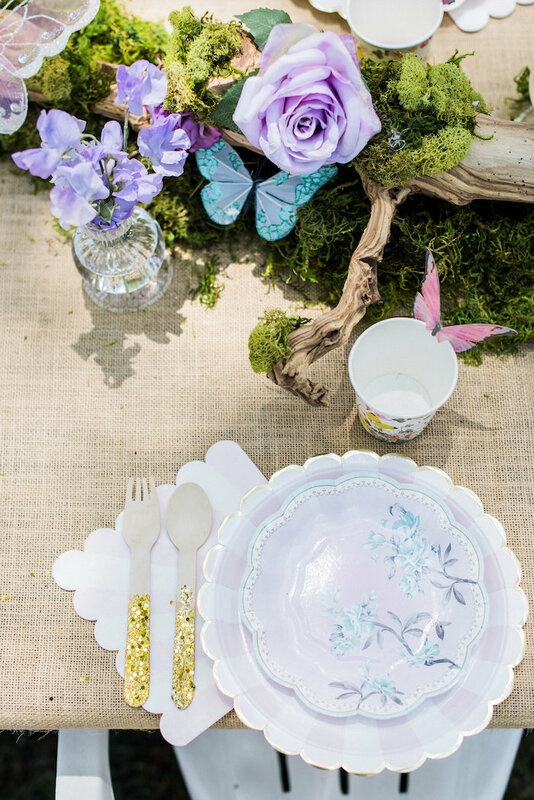 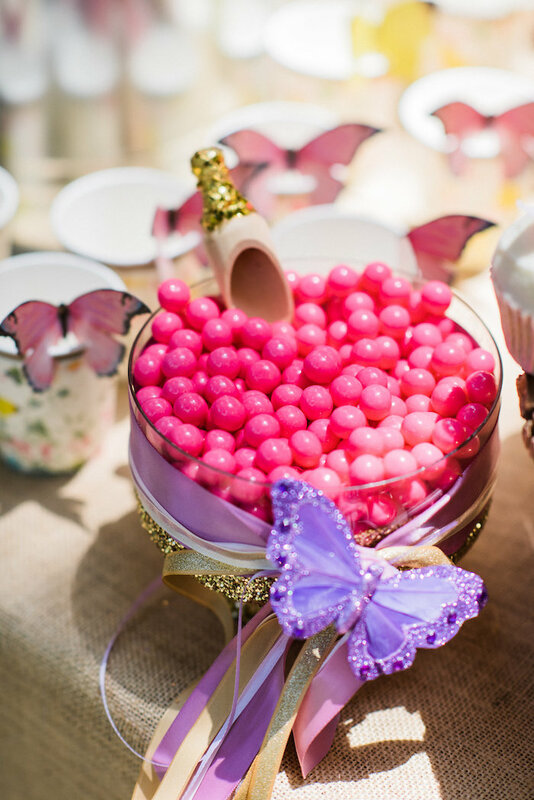 So get ready to dream, flutter and fly, as this Enchanted Fairy Garden Birthday Party soars on by! 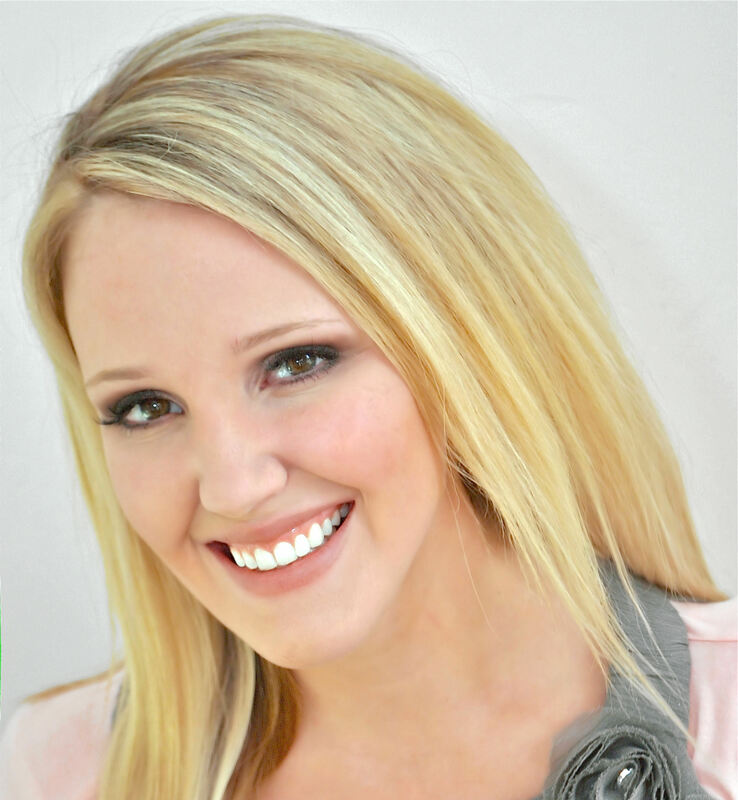 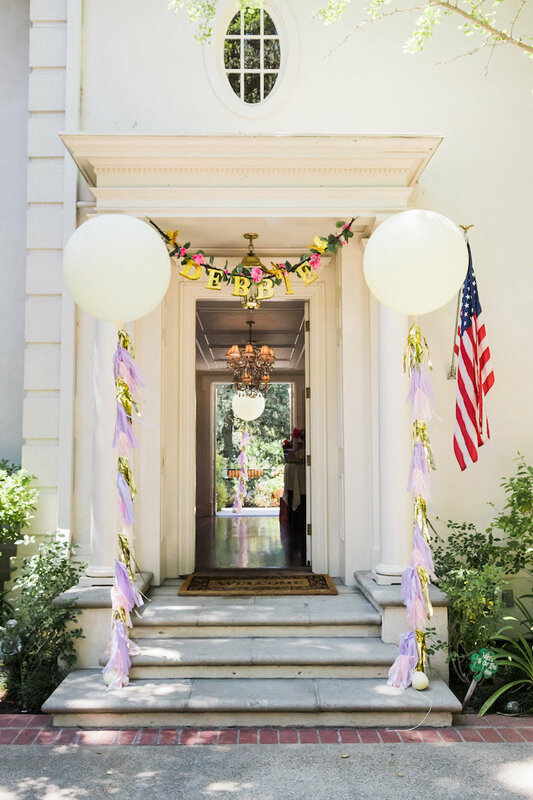 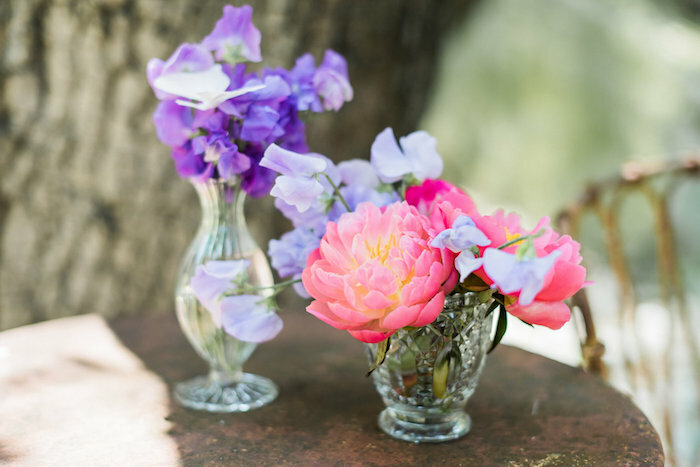 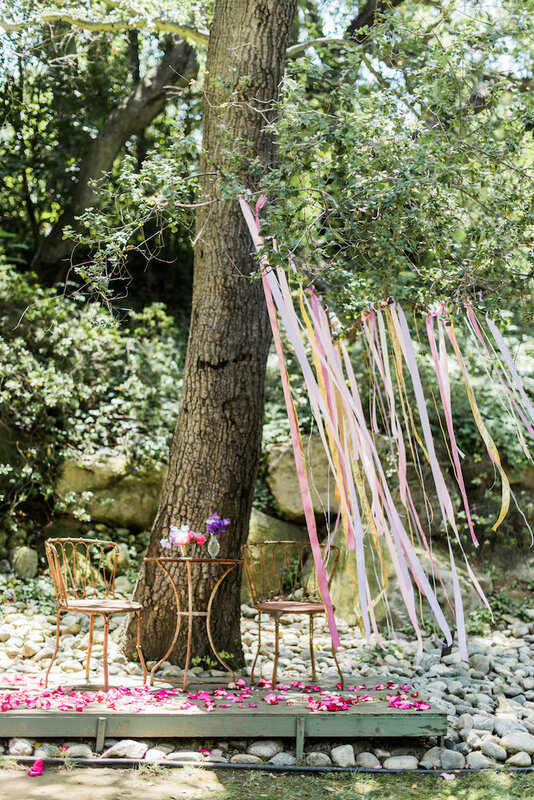 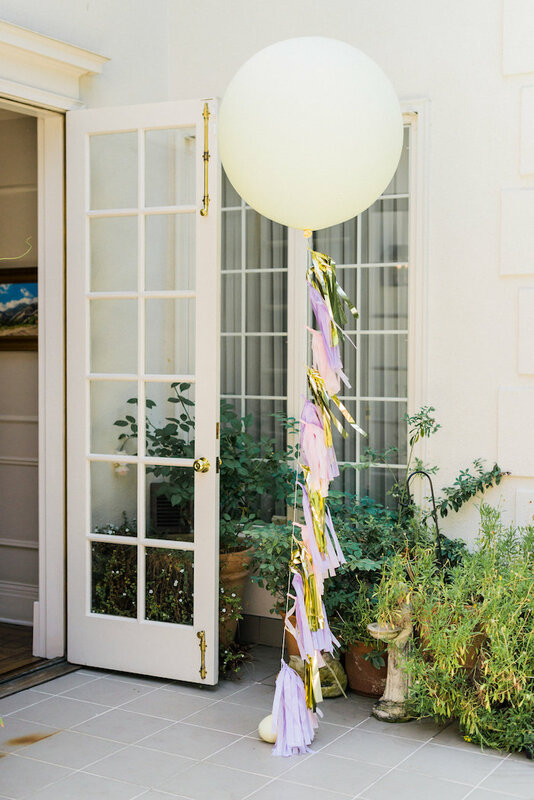 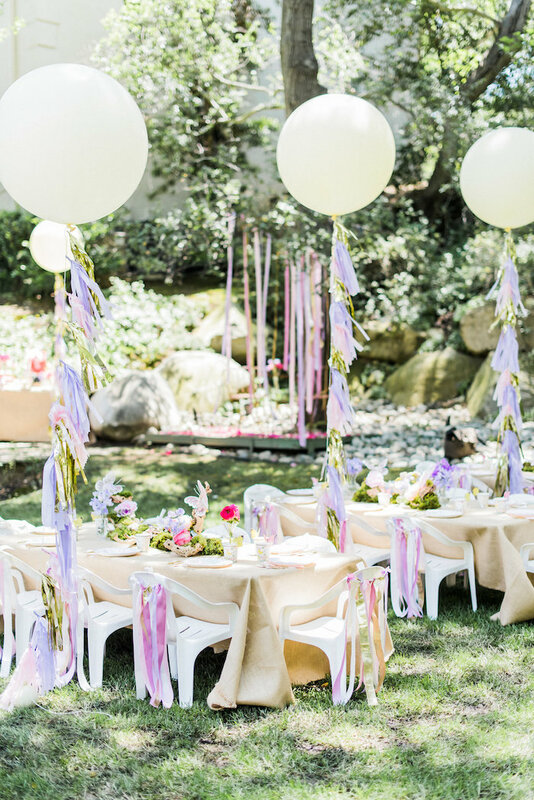 Submitted and styled by the creative Lucinda Gould of the COOP, out of Los Angeles, California; this beautiful event, will have you not only enchanted, but mesmerized! 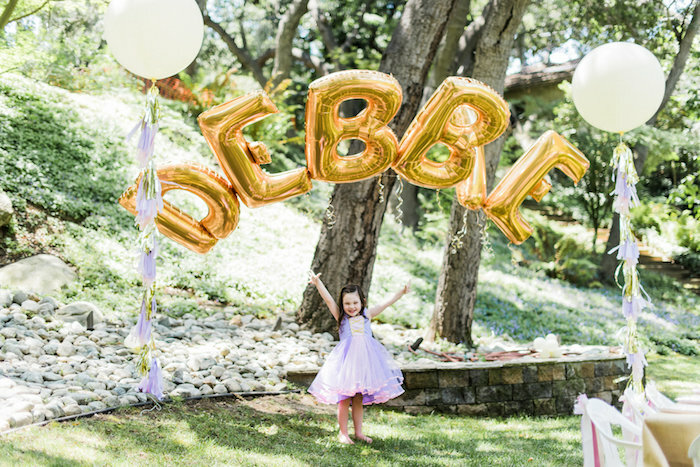 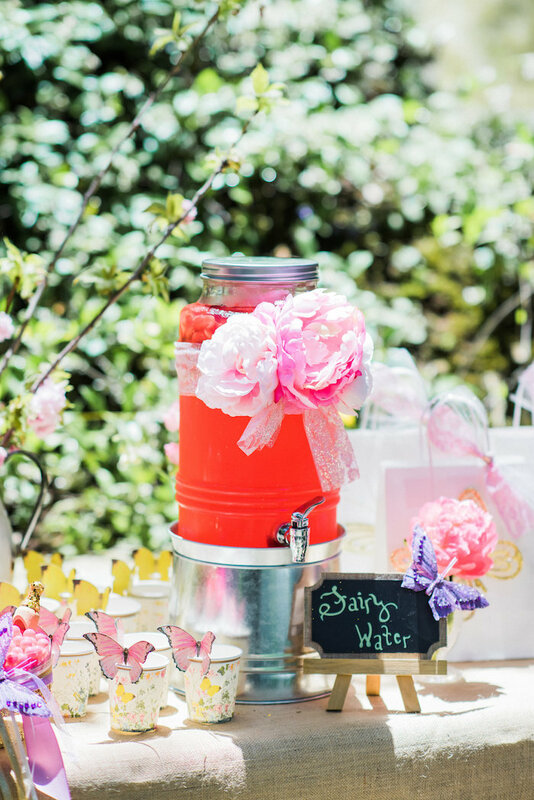 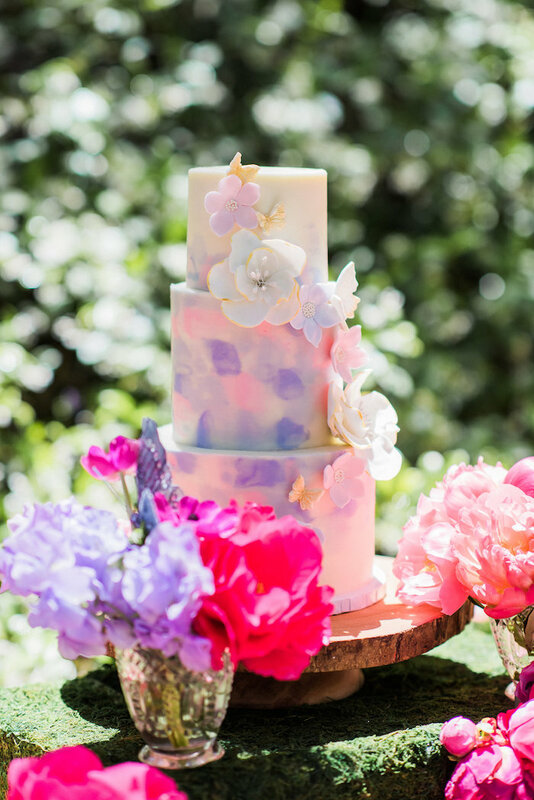 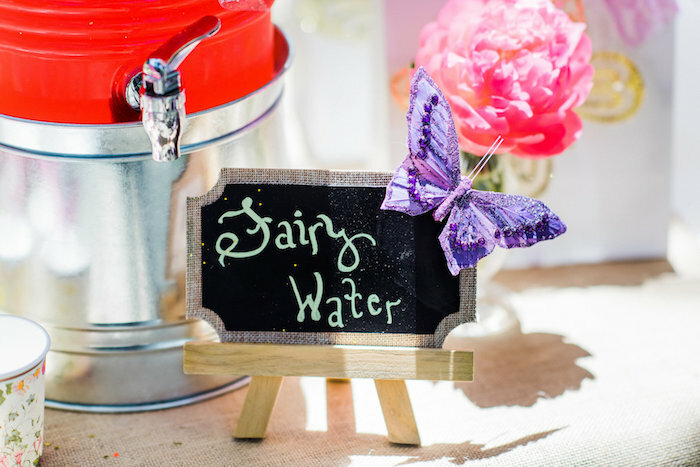 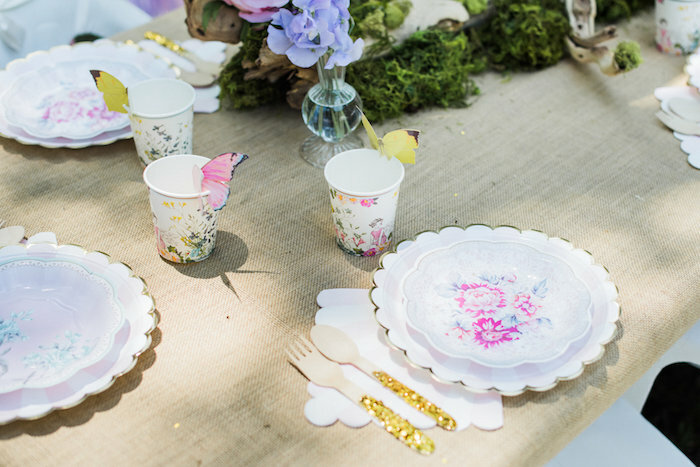 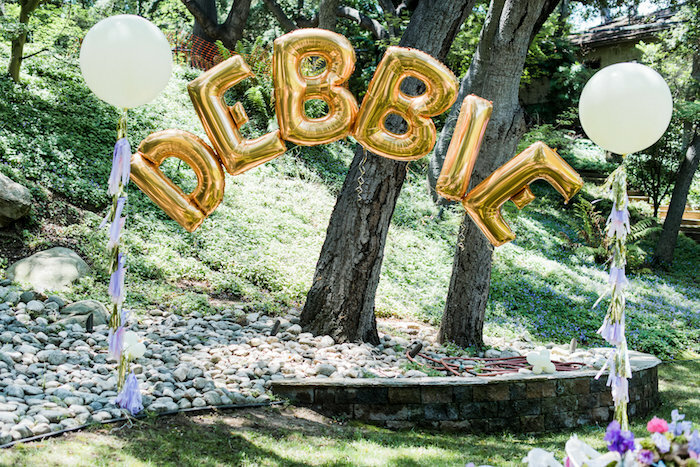 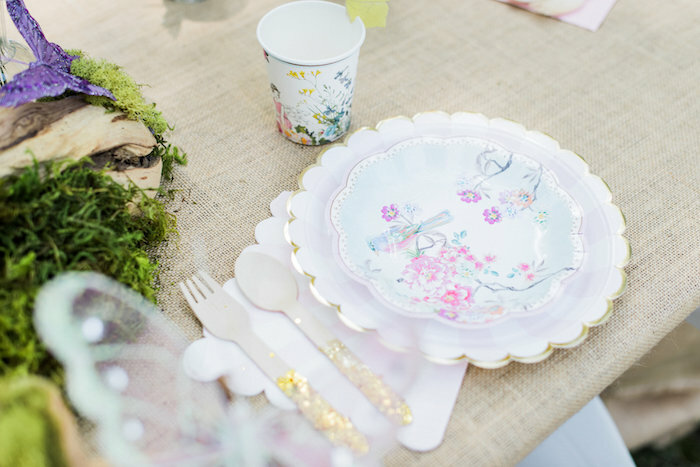 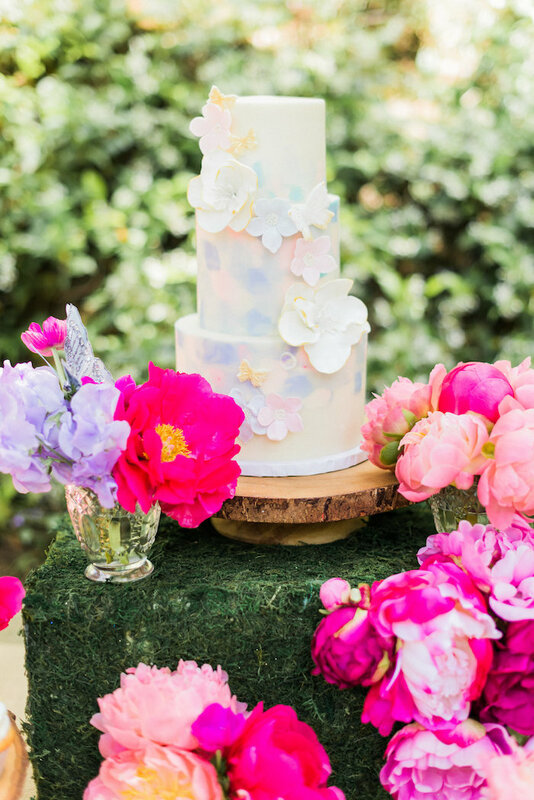 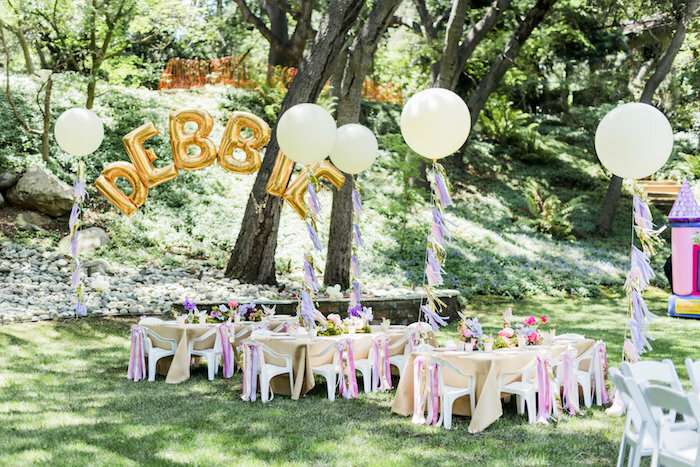 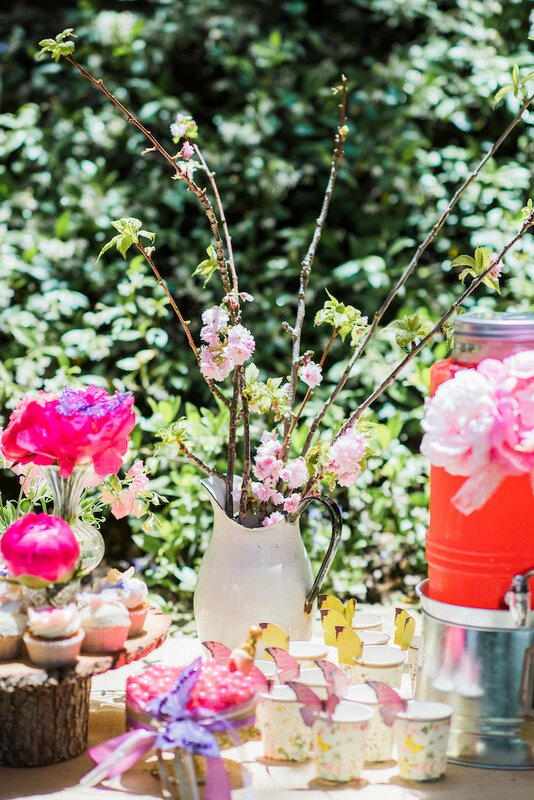 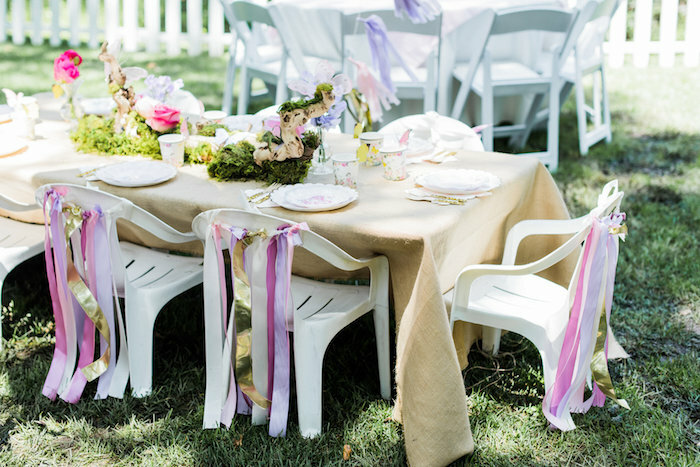 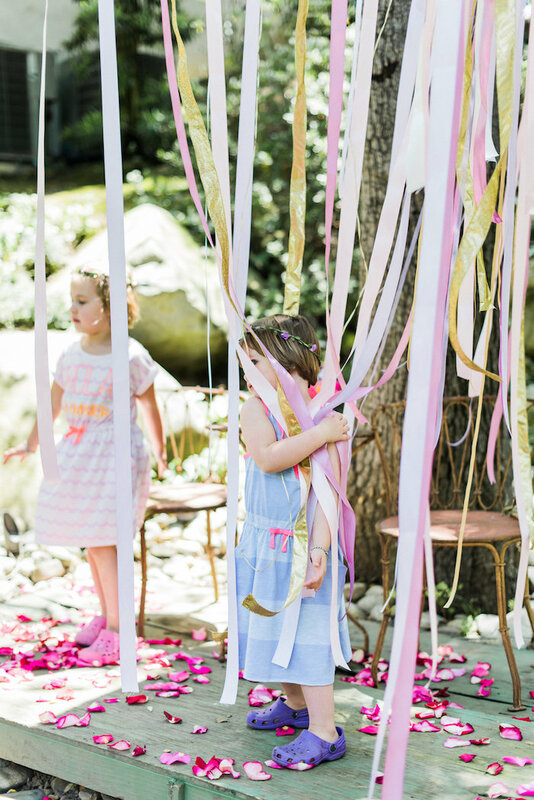 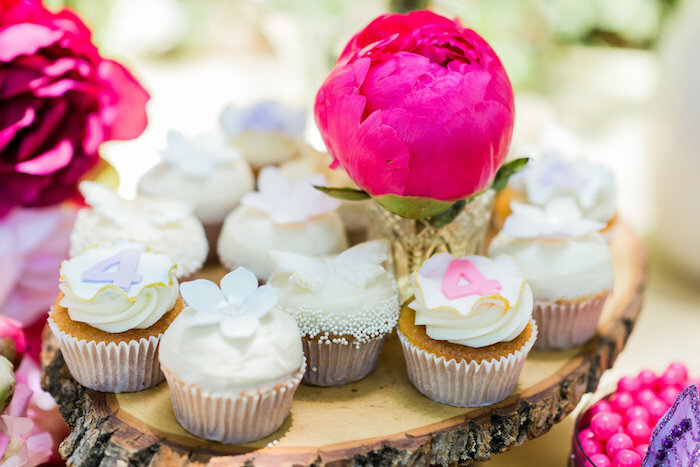 This is what Lucinda shared about the party- “This dreamy garden party had us swooning over all the custom details and perfect setting. 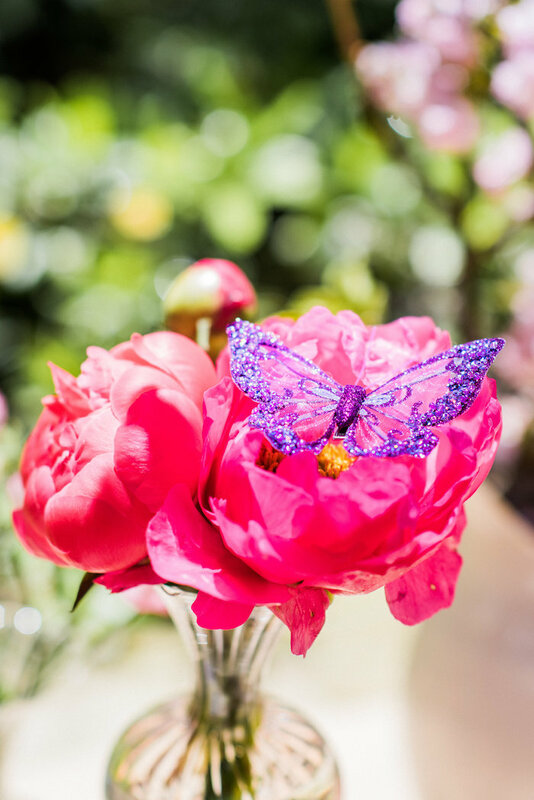 We felt so lucky to work with this particular client in their gorgeous home. 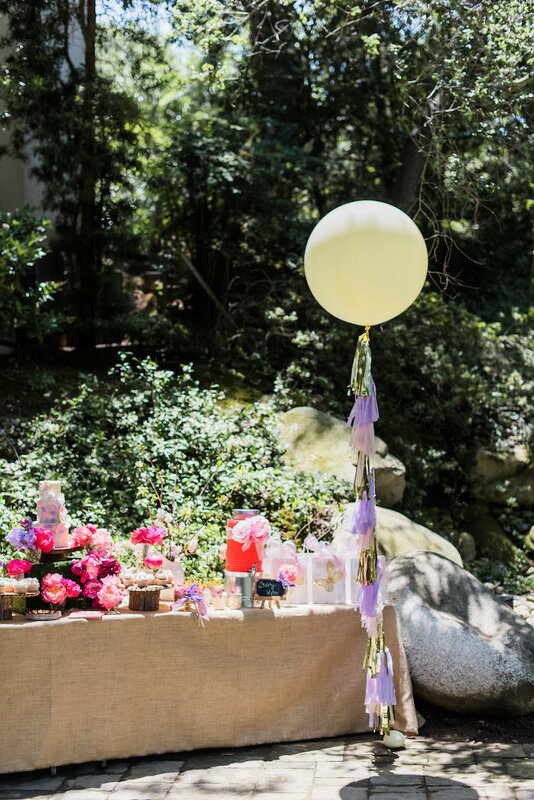 Nestled in their back yard, the magic seemed to come alive as we set up. 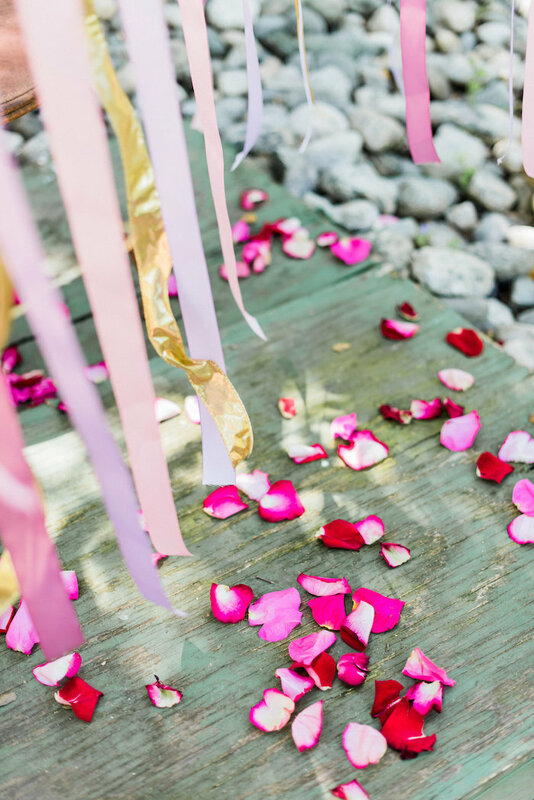 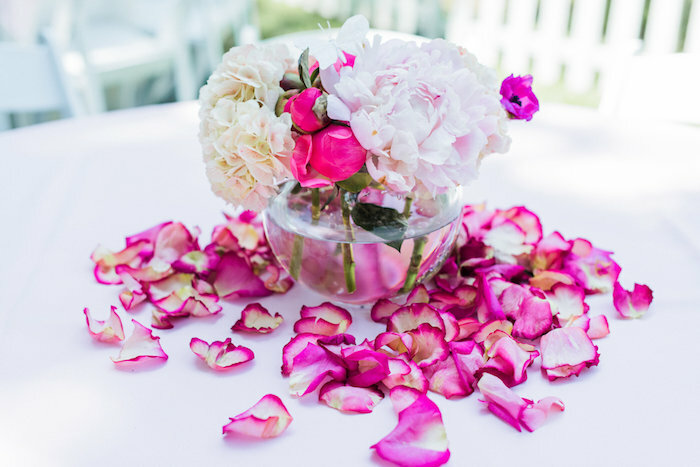 Using ribbons in all shades of pink combined with peonies and roses bursting with fragrance, we felt transported to a realm alive with wonder and enchantment. 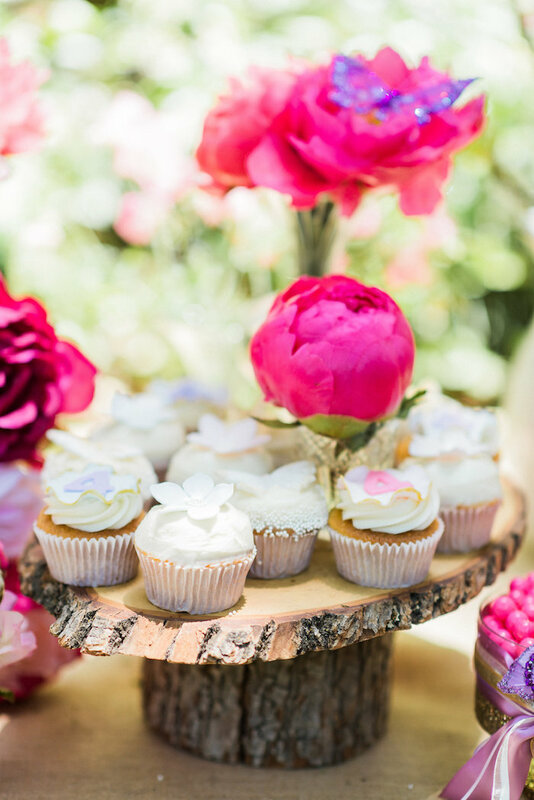 The desserts, provided by the always amazing blue cupcake were truly perfection.